The first team I ever managed was a group of four interns who were converted to full-time software engineers. They have all gone on to do amazing things and it brings me joy to check in with them and see how their initial experiences enabled them to achieve so many exciting opportunities. I went on to work at Anaplan as a product manager for the cloud platform and started out with no engineering team. I put together a plan and proposal for our growth and started hiring and recruiting my own team. In two years, the team grew from one to 40 people. After that experience, I left to go to Uber and worked as the Engineering Manager and Head of People Engineering. It was there I developed a passion for cultivating diversity and inclusion in the tech space and realized the only way to succeed is to educate and build a more inclusive culture and diverse workforce. My goal was to work somewhere I could truly make a difference by growing a positive work environment and building healthy relationships between engineers and managers. Codecademy offered this opportunity to me. The company is creating a healthy and strong work environment for the next generation of engineers and it’s something I’m proud to be a part of every day. Working at a rapidly growing technology company makes for a fast-paced, ever-changing work environment. Hiring and communication are major priorities for me, so at times it can be challenging to find the perfect market fit. Startups have to make strategic moves in a timely manner. Making sure that we communicate often and early isn’t always easy, but transparency is crucial for me and the company as a whole. Establishing trust and communication is how we continue to grow our team and ensure we are hiring the best of the best. I believe strongly in the hiring philosophy Steve Jobs had: hiring smart people to tell us what to do, and who work well in an autonomous environment. 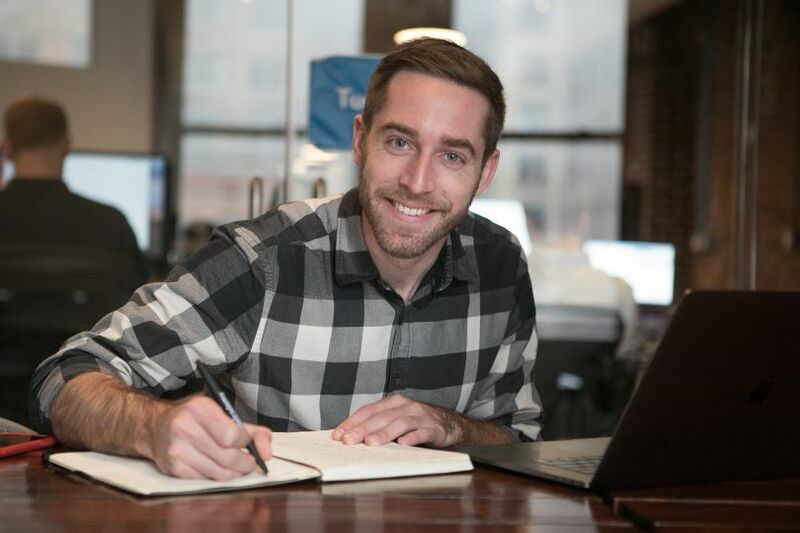 At Codecademy, we look for people who think like a founder, who are willing to take on multiple responsibilities and do things outside of their job descriptions. Make mistakes and embrace them: We are all imperfect but what is most important is our ability to learn from our mistakes and grow as individuals. Be transparent: I share my own performance reviews and culture surveys with my entire engineering team. It helps to know what we are all working towards to help one another succeed. Build trust: Set your team up for success and create a supportive work environment. Your team will feel empowered to become self-starters and ask each other for help. I have a bad habit of checking emails as soon as I wake up to see if anything urgent requires my attention. After that, I enjoy having mornings to myself, either by catching up on world news or going to the gym. At work, a typical day includes one-on-ones with members of my team. The Codecademy engineering team consists of almost 25 people and I try to meet with each person on a bi-weekly basis. I also participate in strategic conversations with the executive team and conduct interviews to expand our growing engineering department. I block time on my calendar for each specific project that needs my attention. I’ve found that to work a lot better than allocating blanket “work” time. Working out and trying to eat healthy. Both of these things provide a lot more energy and enable me to power through the day. Especially as the winter season is upon us, a lot of people tend to get sick and I’ve found this helps with avoiding all the colds going around. I’m a huge fan of LinkedIn. I find myself on it many times every day to review candidates, find potential future hires and connect with people in the community. It’s also a great resource for catching up on various topics related to hiring, technology, etc. 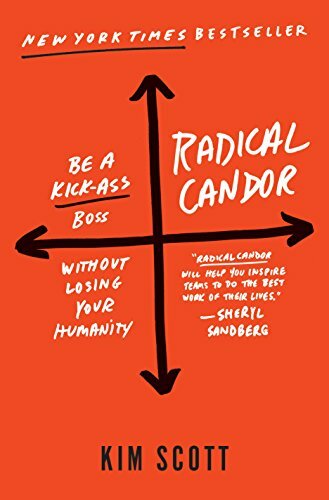 Radical Candor by Kim Scott details tips and tricks for learning to be a manager. Some of the ideas are very obvious, but it’s important to be reminded of them on a regular basis. As humans, we tend to worry about hurting people’s feelings and responses to constructive feedback, which can ultimately lead to unpleasant surprises during the review process. Transparency and open communication are key. In the end, it is better to tell people early on that they aren’t performing well before recurring issues need to be escalated. This will vary a bit from person-to-person and also based on role and level. My overarching philosophy is always to provide timely feedback. When something comes up I try to jump on a call or into a meeting with that individual and provide them feedback right away. I try to understand what my mentees’ career aspirations are and where their passions lie. Without that, it’s hard to know what outcome you’re coaching towards. For individual contributors, I try to recommend engineering partnerships based on where they are at from a skills perspective and where they are trying to get to from a career aspirations perspective. For managers, I try to share a lot of personal stories and help them avoid making the same hard mistakes. One of my favorite things about being the VP of Engineering is that my team is coaching me every day as well.